Podcasts are a phenomenal way for you to connect with an audience and establish,. or build on, your personal branding to grow your business. This week’s episode of Should I Start a Podcast could be the grail you’ve been hunting for. We have the business mogul, Valerie Khoo guiding us, with her keynote speech from We Are Podcast, 2015. From the get go, journalist and CEO of The Australian Writers’ Centre, Valerie Khoo, has had an entrepreneurial spirit that would always guarantee her success. With two very fruitful podcasts, So You Want To Be A Writer, and So You Want To Be a Photographer, she is well equipped to give us some advice. 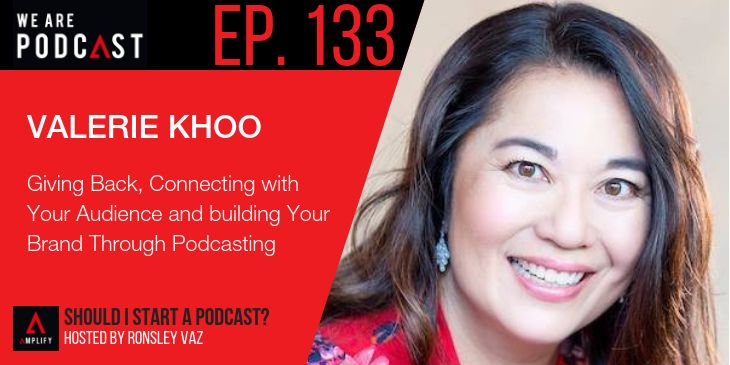 Valerie shares with us, what makes a good podcast outside the stats and numbers, how to leverage your brand to make it more lucrative, as well as why a cheap iPod from Singapore and her cat Rex thrust her into the world of podcasting.